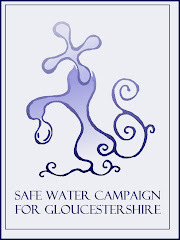 The publicly-funded British Fluoridation Society which seems to be the force behind a renewed drive to get more communities fluoridated needs to be challenged on a few fundamentals. In the Southampton consultation, cited by Julian Lewis MP, the statement that the water already contains some fluoride is probably true, but we are seldom told what kind of fluoride it is. Where it does occur, it is universally Calcium fluoride at an average UK concentration of plus or minus 0.2ppm The average reader would then see the claim that ..."we are going add a liitle more..." as 'more of the same'. Nothing could be further from the truth. The complex 'cocktail' is di-Sodium fluorosilicate H2SiF6, a waste product of the fertilizer industry. Thus, 'fluoride' is the accepted colloquial term to all but those who have researched the subject for themselves. It is more poisonous than lead but BFS members would dismiss this as nonsense because, as so may of them have claimed, the 'optimally adjusted' level of 1.0ppm is 'just a tiny amount'; not a very scientific expression. In the wake of a pre-Christmas recall of thousands of lead-painted toys imported from China, the World Health Organisation has riterated its standard for the maxima for lead in the environment as 0.02ppm Dividing 1.0 by 0.02 suggests that the Department of Health is quite comfortable with the notion of us all having a toxin of fifty times the maxima specified by the WHO through our taps, insisting it is safe, but with unlimited indemnities being granted to the water suppliers against claims of harm by consumers. All other considerations apart, this does rather look as though the millions spent removing lead from motor fuel was an irrelevant waste of time and resources.